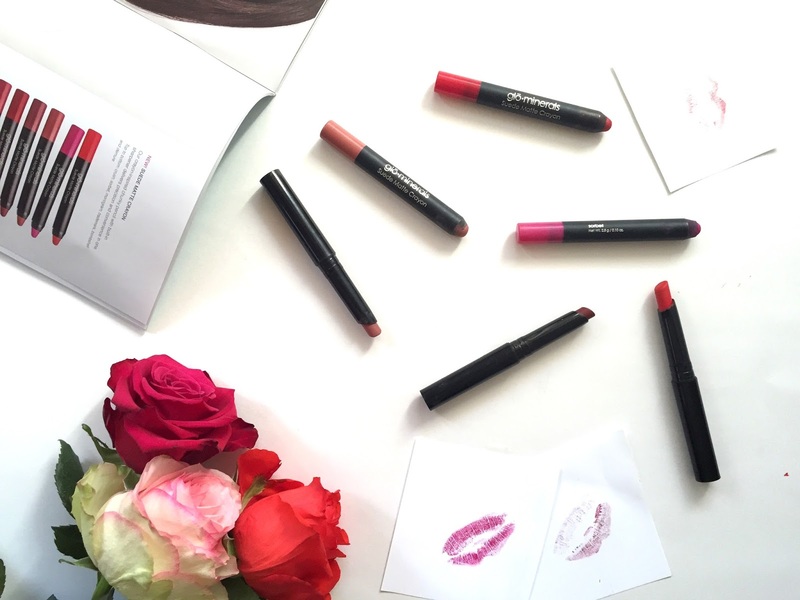 Confession: I'm addicted to bold lips, and I blame it all on GLO Minerals. I've never been one to fuss about my makeup, and have turned to lip balm and glosses as a part of my everyday makeup routine. That was until I discovered glo Minerals and their amazing line of matte lip crayons and sticks. It's true. They created a lipstick diva. Wearing from top to bottom clockwise bombshell, monogram, sorbet, port. 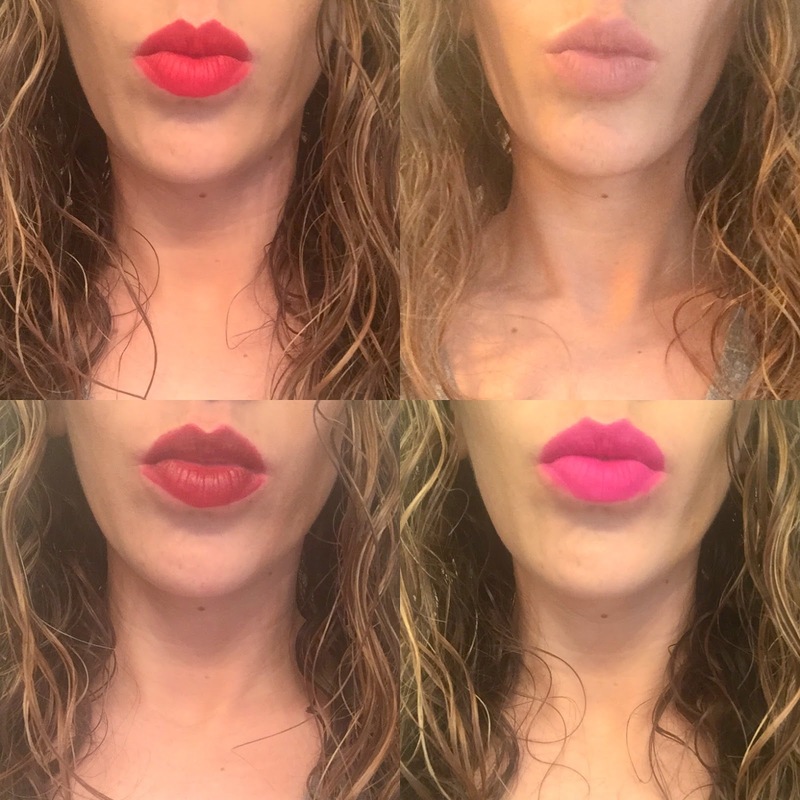 One of the main reasons I've never been crazy about lipsticks and crayons, is because I've always found myself having to re-apply multiple times throughout the day, and worst of all, lipsticks tend to cake on and leave your lips looking dry unless you exfoliate, and really who has time for all of that? glo minerals is different though. No really, I swear. Their suede matte collection features super saturated colors (12 shades in two new formulas!) that last all day and offer velvety smooth finishes, so they never leave your lips looking cakey and dry. We all know that 2 o'clock feeling, when you have to reapply your lips because they look like alligator skin. Ya, that doesn't happen with glo. One of my favorite features about their lip crayons, is the built in pencil sharpener and pencil sharpener cleaner! I mean, not having to dig around my makeup bag to find a sharpener that I use once in a blue moon, is a big win for me! I'm also crazy about their suede matte sticks, because they give more of a glossy finish and last all day. Whatever you're into, both formulas provide conditioning ingredients (which is why they don't cake!) including Vitamin C, E, Mango Seed Oil and Shea Butter. Did I mention they come in 12 shades? I honestly can't even decide which one is my favorite! Head over to gloprofessional.com or call 1-800-232-0398 to find a local retailer in your area. Be sure to use code EATPRAYWEARLOVE15 at checkout to get 15% off your purchase! Great post! I love how this turned out! I might have to check these out. A built in sharpener sounds perfect! I am totally addicted to a bold lip!! I've never tried a stick, so cool!! Thanks for sharing! Nice! I'll check these out!